The Earth-loving-planet-saving twins are in hot pursuit of their mission to help save Planet Earth! 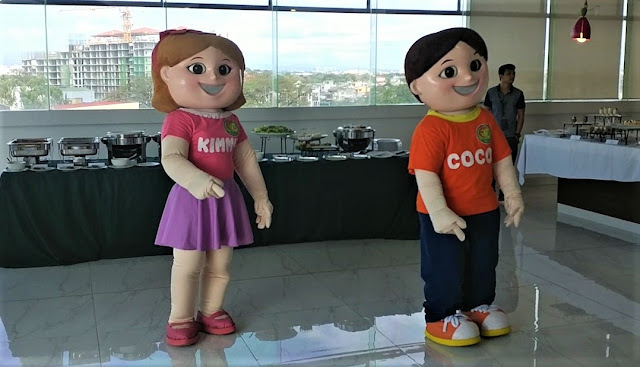 This 2017, Coco and his twin sister Kimmy are working hard in helping kids realize the value of saving Planet Earth. NOW, more than ever is the time for kids to realize that our planet needs help. The recent changes in our weather like typhoons are proof enough that we all need to move NOW! Funtastic International Inc., established in the country almost 17 years ago, is behind the Cool Kids, Baby Bliss, Creadough, Zigo, Latitude, and Fluffy Friends brands. Colorful and lovely characters make up the Cool Kids Brand. These amazing characters have different roles to play in teaching kids how to care for the environment. 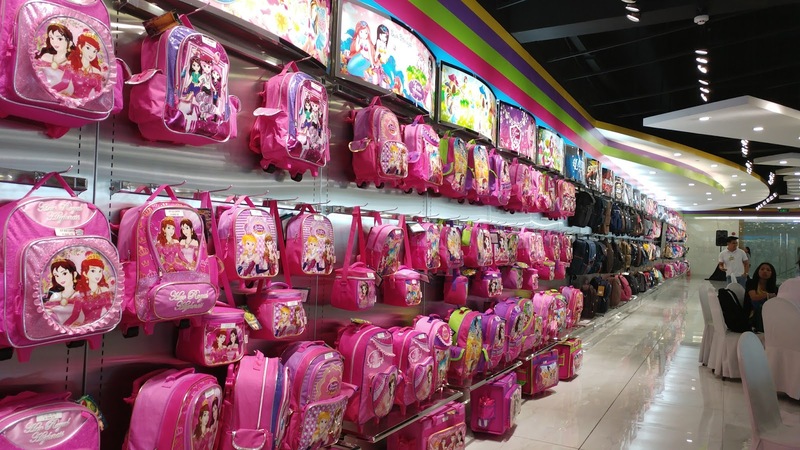 Cool Kids has also launched its new line of “FUN-tabulous” School bags and accessories. The new line of affordable, good quality school bags features the different characters of the Cool Kids friends; Royal Princesses, Glam Girlz, Forest Fairies, Viron Transformer, Earth (Geobot), Air (Aerobot) and Water (Aquabot) robots, and Space rangers to name a few. Cool Kids has also launched its newest line of baby toys and furniture under the brand Baby Bliss. This exciting line of very safe and cool baby toys is like no other. Its wood look mixed with full color has brought a fresh look to the baby toy industry. Baby Bliss toys are competitively priced and they also offer wonderful learning experiences to our little ones. Baby Bliss by Cool Kids aims to teach moms to help in environmental care. Cool Kids has also launched a brand new line of amazing dough toys through Creadough by Cool Kids. This creative line of dough toys brings out the imagination and creativity in children and allows them to use their hands to explore, imagine and create amazing shapes and images. Another new range of toys to look forward to is Zigo by Cool Kids. The Zigo line of blocks not only brings out the creative juices of our little ones, they actually help prepare children to be future engineers and architects. Every kid at one time or the other has played with blocks to bring out the best of their imagination and creativity. With Zigo competitively priced, parents do not need to spend a lot to provide their children with this wholesome deal of fun and creative building. For Back to School 2017, Cool Kids has launched a brand new line of fashion bags for our little “fashionistas” and fashion forward buddies who want to follow the footsteps of their older siblings. Made of amazing quality materials, Cool Kids bags is the perfect companion of our children in school. Funtastic International has also launched for Back to School 2017 its newest line of bags for High School and College kids as well as for adults through Latitude. Latitude is a brand that removes all limits and allows you to express yourself. Made of excellent quality materials, this fashion forward line of bags takes the user to a whole new level of experience given the amazing features of these bags both inside and out. Funtastic International Inc., in its commitment to preserve the environment, donates part of the proceeds of the sale of its products towards environmental care. For every purchase of any item from the Cool Kids product line, you not only get great product, you also get to help save our planet Earth! The public will see new Cool Kids collection starting March in the shelves of major department stores nationwide. In the meantime they can already choose from other existing Funtastic products, equally attractive, fun and affordable, that are available nationwide. Visit the Cool Kids website, www.coolkids.com.ph, this website will give kids and the kids at heart a chance to learn about Cool Kids and their planet saving advocacy. It will also give the visitor a chance to see first hand the new products of Cool Kids. For more information they can also log on to www.funtasticstuff.com and www.coolkids.com.ph to learn more about the company and its products. Such a cook way to get kids interested in saving the planet. Making it fun and on their wavelength is a great way to get the importance across. That is such a cool way to teach kids about mother earth. I love it!! This company sounds like a really good and high quality one. Anything that tries to make some good out of selling their products is fabulous! I really like how diverse their product line is. Good for them for trying to educate, not just entertain kids! I really love this product line! They definitely have it together with giving back. Those look so cool! My kids would really love something like this. The Cool Kids collection is so colorful and I'm sure all kids would love something from their collection! I'm sure my daughter would love to play with the Creadough. This brand is new to me. I would love to see their products especially since I have twin girls who would enjoy them very much. Thanks for sharing more information about them. I feel very strongly about lowering our carbon footprint to save the planet. I think this is such a great way to make kids aware and get them involved, too! Omg just loving the line!!!! So many cute products!!!! I love that this is allowing kids to be apart of the solution. I also love the fun colors and styles. I never even heard of that toy line but they look like alot of fun. Bright colors and engaging toys. I really like the eco-friendly background of this product like. I really think the concept of the Creadough by Cool Kids is one of my favorites. I haven't heard of this product line before. I'm so glad to learn more about it! Earth-friendly products especially for the kiddos are always good in my book. Companies like this one sure deserves our patronage and support. I will definitely check them out the next time I am buying kid's toys and other stuff. Thanks for sharing! This sounds like a fun event! My son will surely love this place too. Thanks for sharing!